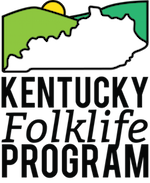 In 2013, Björkman and Jon Kay of Traditional Arts Indiana were awarded the Archie Green Fellowship from the American Folklife Center at the Library of Congress. This fellowship is awarded each year to select projects dedicated to occupational folklore research. Björkman and Kay’s project, Ranger Lore: The Occupational Folklife of Parks, focuses on the lives and work of national and state park rangers in Kentucky and Indiana. While Kay worked with individuals within Indiana’s Department of Natural Resources, Björkman turned his attention to Mammoth Cave National Park, where he conducted fieldwork with over thirty current and former park employees. As the National Park Service celebrates its centennial in 2016, Björkman aimed to document important aspects of the park’s folklife: the practices, traditions, and attitudes that make Mammoth Cave and the people who work there unique. Björkman’s graduate assistant, Hannah Davis, built a website to showcase the work. It is now accessible at www.rangerlore.org. The videos included here represent a small portion of the information collected. For full interviews and more brief clips, visit our YouTube channel as we add content over the course of the year. Full interviews, detailed interview information, and verbatim transcripts have been deposited at the American Folklife Center at the Library of Congress. Although this content is not yet available online, interested parties may contact the American Folklife Center for more information.